There is some confusion with the latest Canalys teaser press release. The implication is that Apple has lost smartphone platform share due to the Android surge. Using the published data, it’s easy to see that Apple has continued to increase share in both smartphones and handsets as a whole. 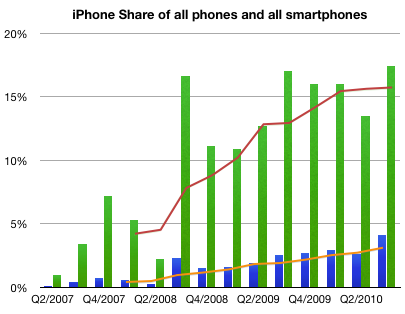 I used green bars to represent quarterly share of smartphones and blue bars to represent quarterly share of all phones. I used orange line to show trailing four quarters (TTM) share in regular phones and red for smartphones. 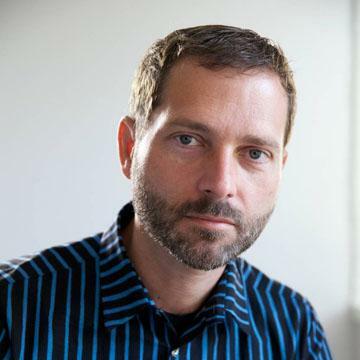 Sequentially, Nokia lost 5.6% of share, Samsung gained 4.6%, RIM lost 3% and Apple gained 4%, Motorola, HTC and Other remained largely unchanged. ‹ Previous Post What's the opposite of price erosion?